Thanks to our EPM Members for coming out to our last EPM Membership meeting of 2016! 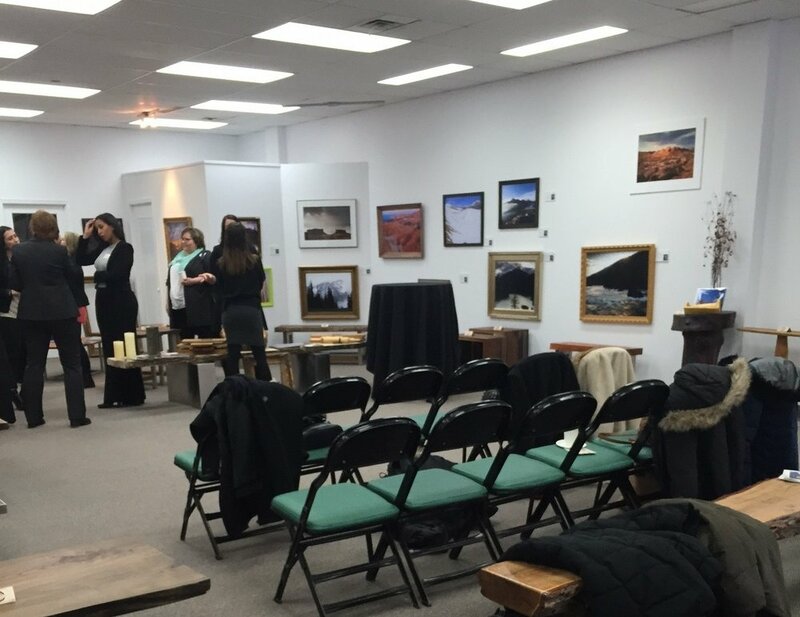 Robert Lowdon Gallery hosted us on December 13th where we networked, mingled, snacked on delicious pastries and sipped on gourmet coffee from Fools & Horses. Robert Lowdon also spoke to us about Event Photography and gave us the 411 on everything we need to know from booking a photographer, to lighting (which seemed to be a popular topic), and developing a shot list. It was also interesting to recognize how all suppliers really do need to work seamlessly together to pull off an event. For example, we may want ambient lighting in the room for an awards gala (especially if we have an extensive AV set up), but the photographer and service staff may need it to be a bit brighter to operate. So what kinds of things can we do to accommodate everyone? Maybe the compromise is ensuring there is podium lighting so that at least the speaker is bright, while group shots at tables may not be as important so it can be darker around there. Just one of the many interesting topics touched on at our meeting! EPM also gifted each guest a professional headshot photographed by Robert Lowdon as a little treat for the Holidays. Nothing says we care about our members quite like a headshot for the old Linked In profile. If you haven't received yours yet, please contact us for a link to download it. Stay tuned with us for details on our next Membership meeting in March - which will be our AGM.